Home ownership does not stop with the acquisition of a house, as it extends to the maintenance of the various parts of the property. The plumbing system, windows, and the roof are among the crucial home components that need regular checks and upgrades—either through repairs or replacements, to guarantee not only a risk-free home, but a shelter that is comfortable as well. When it comes to the house’s roof, the prevailing problem that almost every homeowner would encounter is water leakage or seepage, which brings about numerous damages that can greatly affect the safety of householders. Furthermore, homeowners should be aware of the different roofing troubles aside from water leaks, along with the telltale signs of roof problems to prevent things from getting worse. In Marcus Pickett’s article published at HomeAdvisor.com, he outlined some of the manifestations that can lead to various roofing problems, and homeowners would do well to take note of them. Roof inspection is a vital step in the whole process of proper home maintenance. It should be done regularly, at least once or twice every year. Here are some of the components that homeowners should keep an eye on when inspecting their roofs. The main material used for roofs are the shingles, therefore damages or inadequacies in them can result in leakage, corrosion, and deterioration. Weak shingles are prone to be blown off by the wind, which could then trigger the development of several roofing problems. Other important materials that need thorough evaluation include the roof’s flashing (the metal intersection of chimneys and pipes), gutters, and the downspout drainages. Moreover, damages on the roof’s surface or coating also signal probable leakage. With all this information on the possible causes of, and the damages that a poorly maintained roof may bring to a home, addressing such issues with efficient solutions is of utmost importance. Therefore, homeowners who wish to maintain the integrity of their roofing system would do well to invest in Sunnyvale roof repair or replacement if necessary. 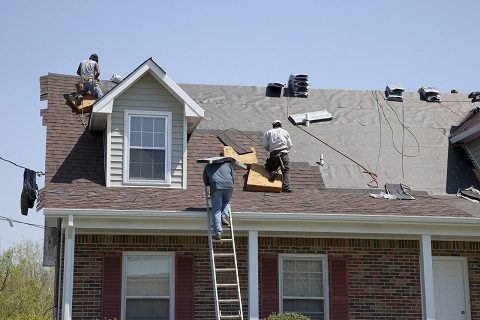 Shelton Roofing, an established Sunnyvale roofing contractor understands all the concerns of their clients as they provide various roofing services like installations, repairs, and replacements. Take note, however, that a credible contractor does not immediately proceed with estimating the costs without assessing the roof. They must be knowledgeable enough to assess and explain how certain problems occurred so as to guarantee favorable results.